The Beautify Inspire series is all about sharing stories of women doing amazing things. 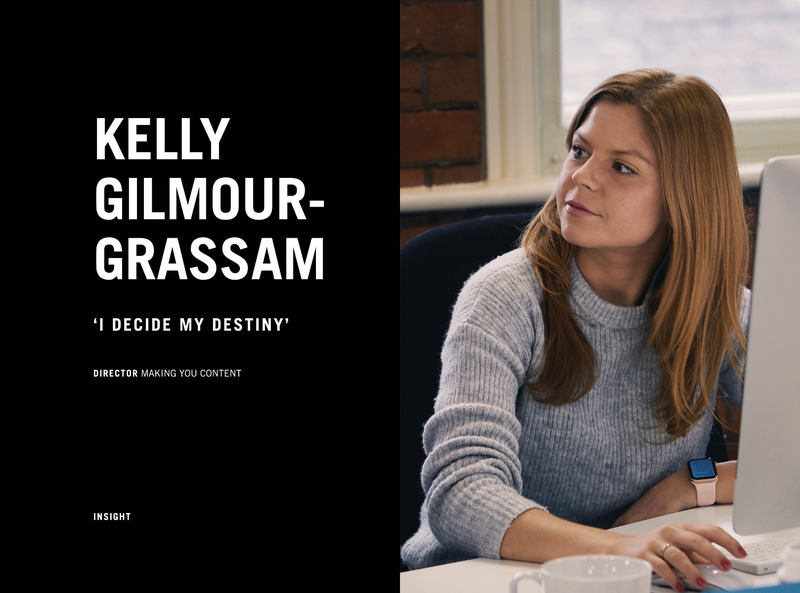 This month, we’d like you to meet the incredibly talented Copywriter and Director of Making You Content, Kelly Gilmour-Grassam. 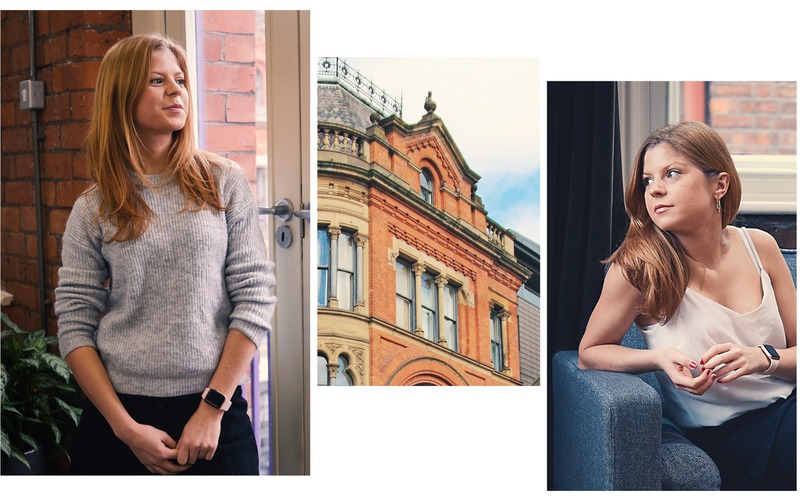 Her incredible story from freelancer to award-winning business owner now sees her run a successful Manchester-based copywriting agency at just 26. We hosted a Q&A with her to get the down-low on how she’s been able to make such quick progress in the industry and give us a little insight into a day in the life of a successful businesswoman. My career started at university, where I started freelancing alongside my studies. I picked up a few writing gigs, and continued to build my portfolio as a travelled South America on graduation. When returning to the UK, I went freelance full time, and soon reached a point where I needed extra hands to support the workload. Five years later, I’m heading up a team of writers in Manchester. It’s been hard work but I’ve loved every minute. What skills and entry requirements are needed for your role? My degree helped – studying History gave me a lot of transferrable skills that I took into freelance writing. However, as far as running a business goes, I learned the ropes as I went. In my opinion, leaving school or university is the best time to start a business: if it all goes wrong, there’s a lot less to lose – at worst, it’s a good story to tell at future job interviews and shows you have a sense of initiative. I love the freedom that comes with being your own boss. I decide my destiny – and if I plan for the future, there’s every chance I can make it happen. But what’s better is that I’m not alone: I now have an amazing team around me who share my vision for the business. It makes it all the more rewarding when hard work pays off. A few years ago I was named the UK’s Young Freelancer of the Year by IPSE. That was a major launchpad for my career and the growth of my business from freelance roots to an agency. Fast-forward to 2018 and it was great to see MYC shortlisted for Team of the Year by MYTA. Being able to fill a whole table at the ceremony was a surreal moment in itself. It reminded me just how far we’ve come. I never had a ‘dream job’ – it changed all the time. One day I’d want to be a popstar, the next a hairdresser, the next an electrician. However I was always looking for ways to make pocket money – when I was six I drew up a price list for jobs around the house! Mum wasn’t best pleased. Your best friend comes to you for some career advice. What would tell them about getting into the industry? I would tell anyone wanting to break into marketing to get as much experience as you can. Whether that’s writing your own blog (I started my own music and travel blogs to kickstart my portfolio at university), volunteering for community projects, taking on weird and wonderful freelance gigs or interning at an agency. So many people are already skilled in this sector, you need to be able to prove your worth to win opportunities. It takes time, but eventually the balance shifts in your favour; patience is key to getting into this industry. What Beautify products are you loving right now and why? Plush Pink Velvet Jewellery Box – I’m always in a rush and losing earrings so a good jewellery box keeps me organised. Grey Herringbone Cushion and Throw – Nothing beats crashing out on the sofa with a soft, silky throw and cushions after a long day. Do you have any hobbies/ do anything exciting outside work? I love to travel. I try to get away every couple of months but haven’t been on a big adventure since my ‘gap year’ in South America. I’m hoping to take a month out to travel Asia in 2019 – it’s the one continent I haven’t touched and I’m eager to explore it! Are you loving anything on TV at the moment? I can really immerse myself in a good series when I switch off. The Haunting of Hill House had me hooked this autumn… anything with a strong storyline and great characterisation gets my thumbs up as a writer. Would you say you’re into interiors and decor? How would you describe the style of your home/bedroom? I grew up in some wonderful houses when I was younger, and it’s given me a real appreciation of period properties. I love their architectural quirks. City living is fun but doesn’t leave much room for interior design! It’s something I’d like to get into when I eventually move to the suburbs and buy a property.